Bulk density 120-330 kg / cu.m. Specific surface area 60-280 sq.m. / cu.m. Fenix is a reputed name in design and manufacture of mass Transfer Equipment and accessories like Random Packings. 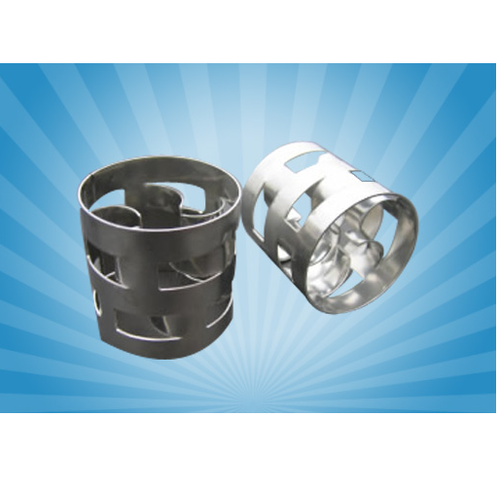 These packings are used mainly for fractionation and absorption operations and there are many types of random packing. One of these types is the Saddle Packing Rings. Depending on process parameters and client requirements, we design and manufacture Saddle Packing Rings which are much superior in performance to Berl Saddles. Fenix Process Technologies Pvt. Ltd. was founded in 2006 by technocrats having more than thirty years of experience in providing both design and engineering solutions for mass transfer operations like distillation, absorption, extraction etc. The aim of Fenix is to provide customized solutions with enhanced performance efficiency at a low cost to improve profitability of our customers. Our state-of-the-art manufacturing plant having an integrated engineering capability is established in a 40,000 square foot workshop at Pune, 200 km away from Mumbai. We have extensive experience in separation processes across a wide range of industries, including Chemical, Pharmaceutical, Petrochemical, Oil & Gas, Agrochemical, Dyes & Intermediates, Aromatics and Edible Oil sectors. Guided by pragmatic wisdom of our management and supported by skillful technicians, our team of bright, young and energetic engineers helps us deliver superior performance of our products which are highly efficient and cost-effective. We also receive help from a team of consultants, experts in different fields. Main areas of our expertise have been designing and manufacturing of efficient process equipments at a low cost including Distillation Systems with all internals & accessories, Absorbers, various types of Evaporators, Pusher Centrifuges, Static Mixers, High Shear Mixers etc. After extensive R & D and on building international collaborations, we have recently diversified into providing process technologies for Oil & Gas Processing, Fractional Distillation and Absorption, Edible Oil Refining, Biodiesel Production, Solvent Recovery Systems, Used Lube Oil Refining Systems etc. Our mission is to enhance performance of our end users’ processes through optimized engineering, efficient process designs and reliable equipment.